Are you looking for a career change? Looking to build virtual biz & master a new skill? There are 150+ services you can offer as a Virtual Assistant. But Pinterest Virtual Assistant Services always stay on the top of the list. This side hustle doesn’t consume time and is easy to get started. It works even if you aren’t tech savvy. Above all, it’s fully-flexible and stress-free. If you’ve been using Pinterest for your business you might have perceived the increasing demand for a Virtual Assistant. And, trust me it’s not going to fall or shift anywhere in the near future. Launched in 2010, Pinterest is a hub for over 250 million monthly active users and a thriving platform for small businesses, content marketers, entrepreneurs, retailers, and marketers. The reason why most businesses trust this platform is – Pinterest drives more referral traffic than LinkedIn, YouTube, and Tumblr combined. And surprisingly, Pinterest users BUY and spend more than Facebook or Twitter users. Pinterest is much more than a social media platform. Then, why the hell wouldn’t businesses flock on Pinterest. Wherever there are businesses there’s an increasing demand for Virtual Assistants, and Pinterest is no exception to this. The reason being, the time spent on this is now better spent on another aspect of the business. 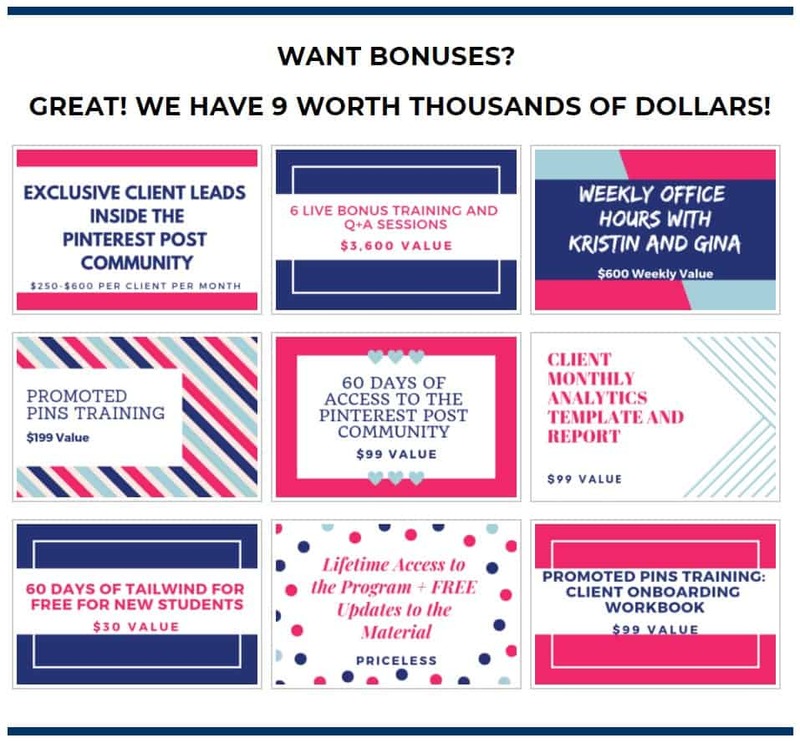 As a Pinterest VA, your job is to offer any or all of these services – Pinterest Management Services, Pin designing, Tailwind Scheduling Packages, Create Boards, and Run Promoted Pins. Most VA’s I came across focus on strategy and not just filling your account and schedule with pins. They work with every client to make sure they focus on the business goals and cater to their needs specifically. If you want to be successfully, you should definitely love your work and deliver the best. into their household, could benefit from it. So, are you ready to pursue your career as a Pinterest VA? 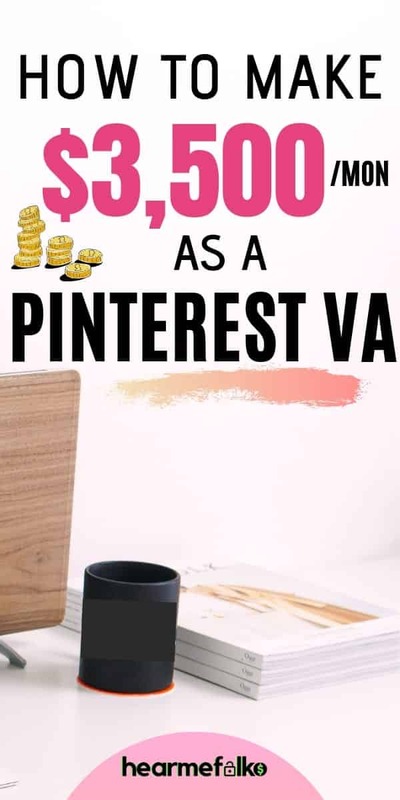 How much can you earn as a Pinterest VA? Your pay will depend on your skills and the kind of services you want to offer. If you have highly technical skills you can easily charge more. The more experienced you become the more you can charge. The rate for an absolute beginner may start at $15-20/hour, while the rates for a Pinterest manager can go as high as $75-100/hour. As far as time, you typically set your own hours, just like any other self-employment. As discussed above, one should take the time to get accustomed to the platform – see how it works and understand the strategy. Doing so helps will you get started the RIGHT WAY. EARN FREE AMAZON GIFT CARDS, even if you don't qualify for surveys. Get rewarded for your time - Sign up for these two high-paying survey platforms to earn up to $50 within the next 24hours! This Ultimate 7-Step Guide will help you better deal with Pinterest. But, there’s a lot more to becoming a Virtual Assistant. You can start off with this FREE Pinterest VA Prep Book and start practicing in your spare time. But, I highly recommend you to join the Pinterest VA waitlist and learn from the gurus. If you take action, I know you’ll see a huge return on the investment of your time and resources. Kristin Larsen — (Tailwind ambassador and the creator behind Side Hustle to Success and Pinterest Presence) & Gina Horkey — (successful freelance writing, virtual assistant business owner and founder of HorkeyHandBook.com) together offer an incredible Pinterest Virtual Assistant Course that’ll teach you to the skills needed to succeed in this career. This course will show how to pounce on this opportunity and start living the life you want. And, the doors for ‘Becoming a Pinterest VA TODAY’, are officially open. So what are you waiting for? Click here to start your PVA career. How to do – Tailwind Scheduling, Increase Reach with Tailwind Tribes, Smartloops, and Design Pins. So, what are you waiting for? Hop on the Pinterest VA waitlist right here. Interested to hear more Pinterest VA success stories? Today, I have Yi Ming, who makes a full-time income from home as Pinterest Virtual Assistant. Get to know more about her and how she makes $3,500/mon in her own words. 1. Hi there, Can you please tell us a little about yourself and your work? My name is Yi Ming. I’m a full-time Pinterest manager from Sydney, Australia. I also blog about side hustles and millennial personal finance at insane freedom.com. I was inspired to become a Pinterest VA as I was desperate to quit my job. Before doing this, I was a part-time piano teacher and accompanist. After about 8 years of trying to make ends meet as a musician, I decided to do something else. I needed extra income as well as a change of career. 2. When did you start seeing money coming in? I’ve been doing Pinterest virtual assisting and management for about 6 months. I started making more than my part-time income as a piano teacher 3 months after launching my business. I quit my job in August 2018 and went full-time ever since. I now make about $3500 to $4000 a month as a Pinterest VA. I do not have any subcontractors to help me as I work in bulk, limit my work hours to ensure efficiency as well as choose my clients carefully. 3. In your opinion, what are the three core skills needed for this side hustle? The three core skills needed for this side hustle would be patience, creativity, and persistence. As it takes a while to build your credibility and skills, being patient when it comes to landing clients in the beginning stages is very important. With a creative mind and a willingness to try new things, I’ve managed to land high ticket clients who I work with on a consistent basis to ensure the best Pinterest strategy for their business. 4. Did you get trained prior to getting into this career? Is so, what helped you the most? 5. What are some big obstacles you had to overcome getting started? My biggest obstacle was believing in myself. At times, I still doubt my ability as a Pinterest VA. In the beginning, I was not confident with my graphic design skills. I struggled to show my worth and sell my services due to my self-doubt. I surprised myself by building up to 10 clients within a month of quitting my job and exceeded all my income expectations. I also realized that you learn more on the job and that is okay. 6. What advice would you give to someone wanting to become a Virtual Assistant? I would advise any wannabe Pinterest VAs to invest some money into setting up your business professionally. It’s highly important to have a professional looking website and your own domain, as well as pricing your packages in terms of your own worth. Remember, if you are skilled at what you do and consistently provide great services for your clients, you will always get new opportunities and attract your ideal clients. Got questions? check out this FB Live – How Biz Make $$ on Pinterest. Thank you, Yi Ming, for all the amazing advise and taking the time to show us how to become a Pinterest VA and make a full-time income from home. 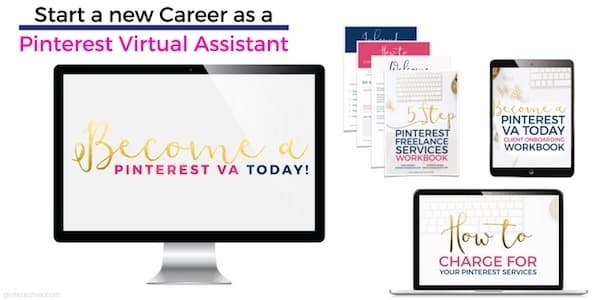 Ready to become a Pinterest Virtual Assistant? Want to hear a lot more amazing success stories? Start practicing your sweet skills with this FREE Pinterest VA Prep Book TODAY. I highly recommend you to join the Pinterest VA waitlist and become privy to special bonuses during next week’s open enrollment. Leave your concerns in the comments section below.